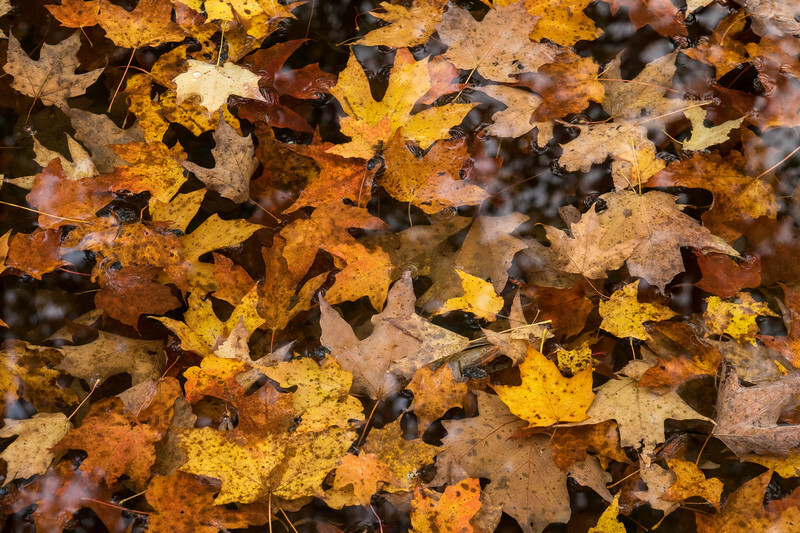 Autumn will soon be here in all its glory! The signs are out there... and they sure are beautiful! 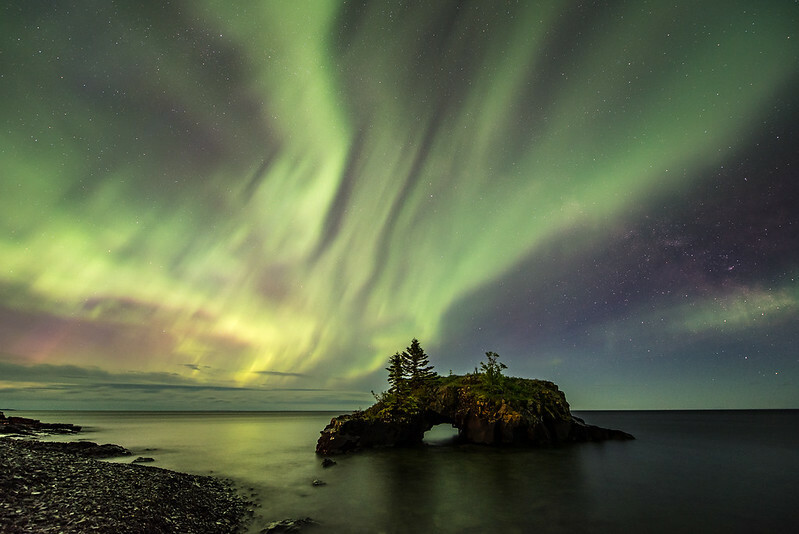 "Aurora Waves over Hollow Rock"
I just returned from a trip to California where Jessica and I took some vacation time and did some exploring north of San Francisco. 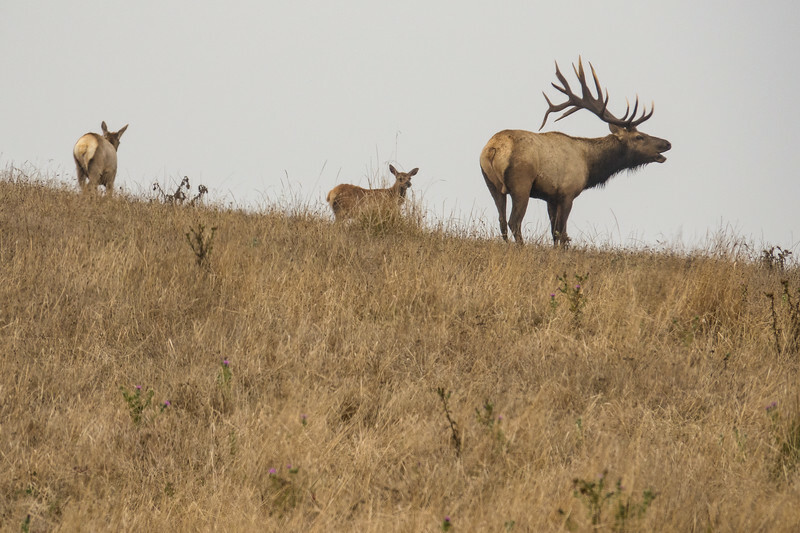 On the first day of the trip we visited Point Reyes National Seashore, which has a resident population of Tule Elk. 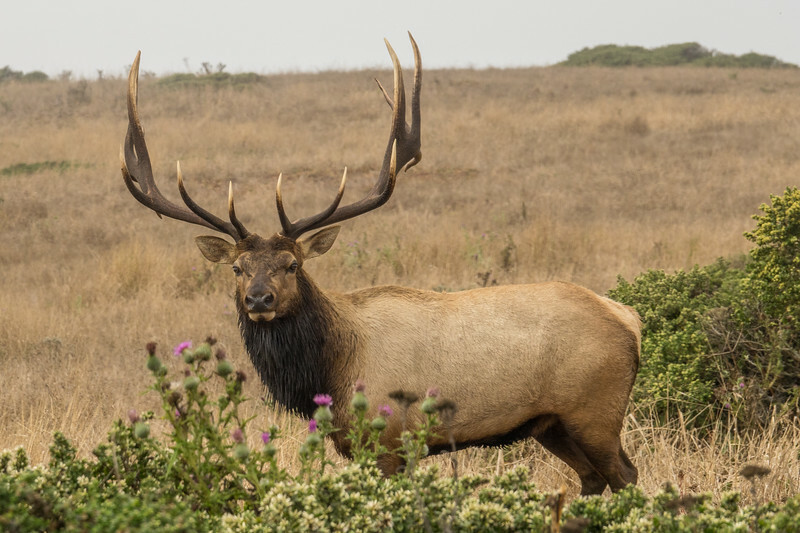 As we were driving out to one of the trailheads in the park we came over a rise and there was a big, beautiful bull elk standing right close to the road! A few cows were in the distance and I got some great shots of all of them. It sure was a great way to start the day at Point Reyes! 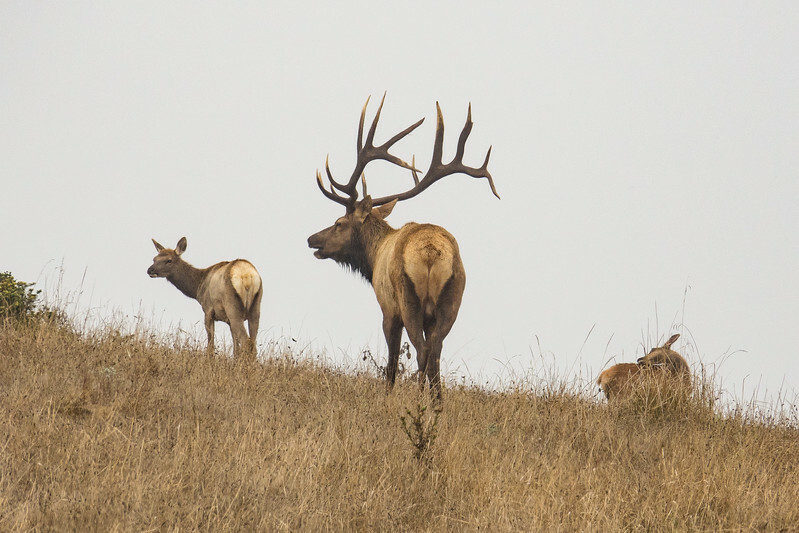 "Tule Elk at Point Reyes"
During our visit to Point Reyes National Seashore in California we did some hiking on the Tomales Point Trail. 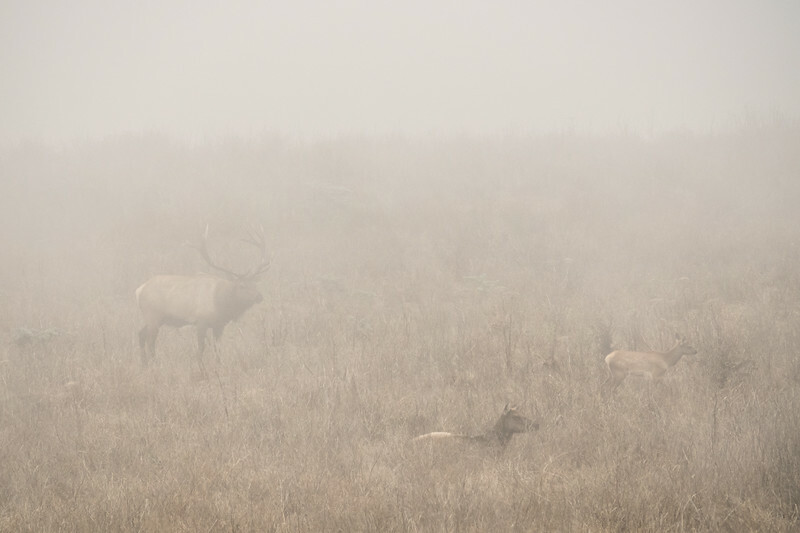 As we were hiking we could hear the Tule Elk bugling all around us, but we couldn't see them or the ocean because of the thick fog. Several times when we heard the Elk calling we stopped to see if we could catch a glimpse of them. Time and time again we were foiled by the fog. On the return to our car we heard a call that sounded VERY close. We stopped once again to try and catch a glimpse. The fog was blowing very quickly from right to left across the meadow in front of us. As we stared into the white nothingness Jessica exclaimed "I think I just saw him!" After a few more moments the fog cleared just enough and I saw his silhouette as well. 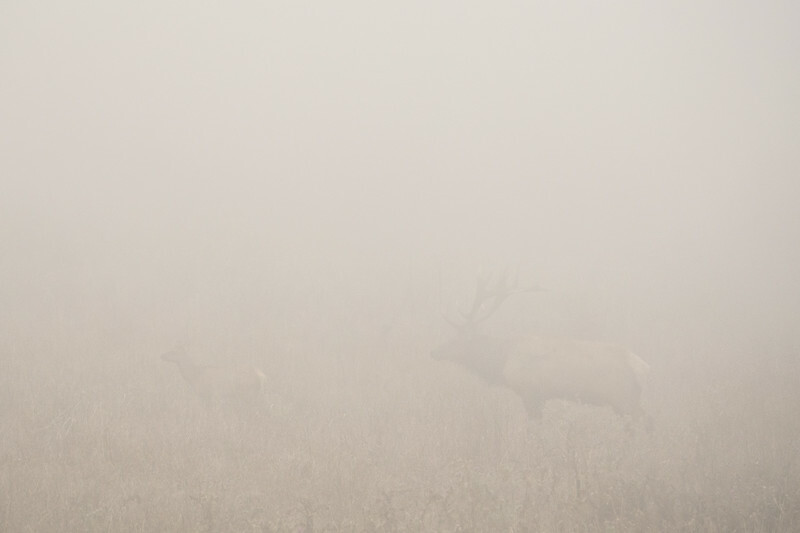 It was extremely difficult to get the camera to focus on the elk in such challenging conditions but after looking into the foggy field for about 10 minutes I did manage to come away with several interesting photos. I hope you enjoy viewing them as much as I enjoyed making them! 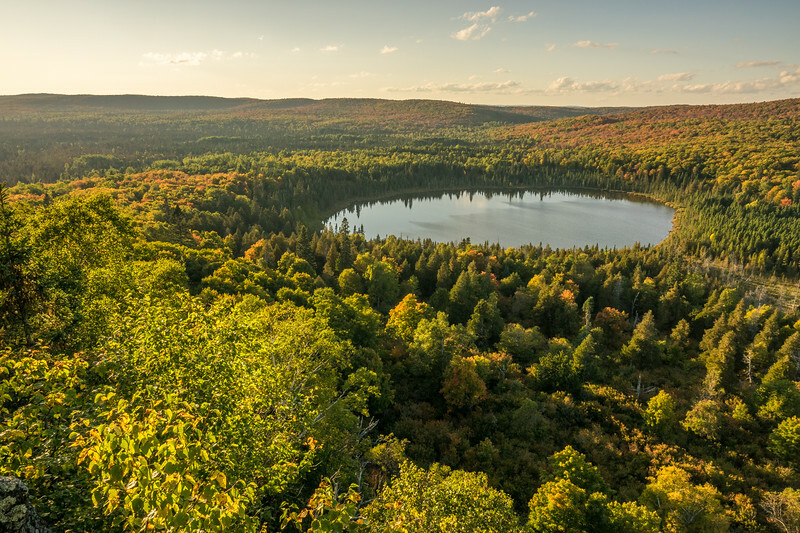 "Early Autumn at Oberg Lake"
On my way home from Duluth yesterday I stopped and hiked the Oberg Mountain trail to see how the fall colors were doing. Things were still pretty green. Not a whole lot of color yet but even so the view was still spectacular as always! 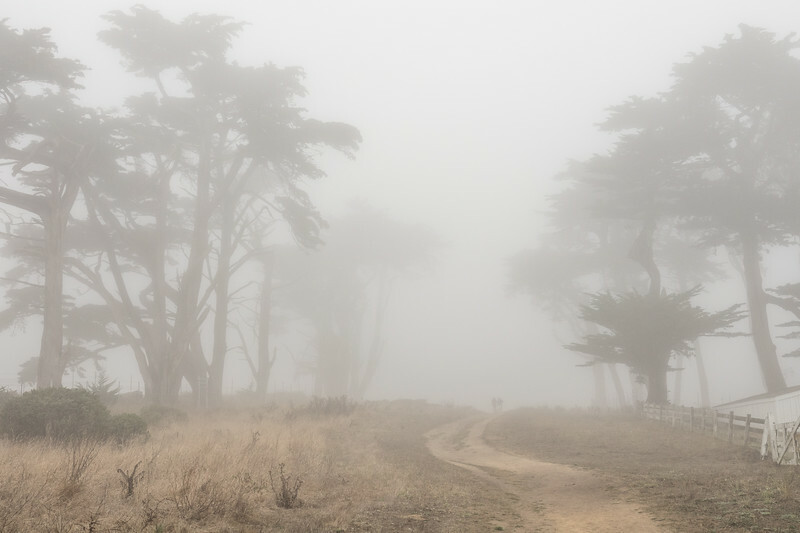 "A walk through the Cypress in the fog"
Fog is so beautiful, especially when its surrounding awesome trees like these magnificent Cypress in Point Reyes National Seashore, California! 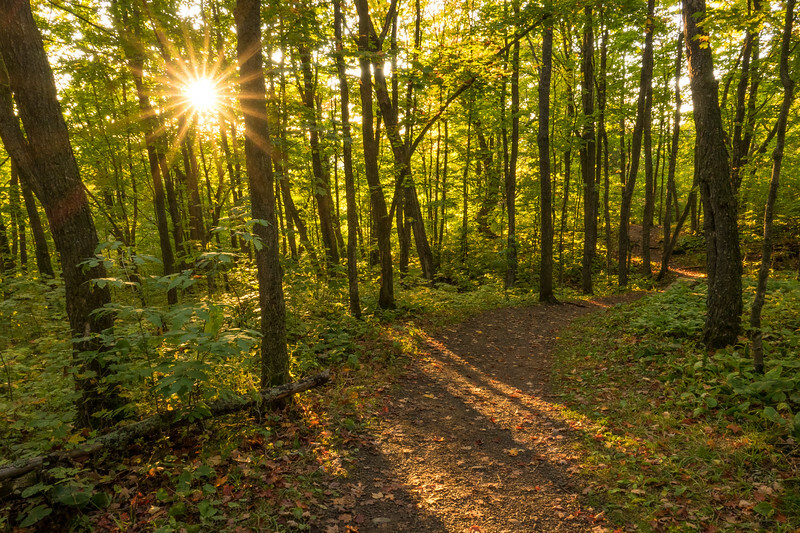 "September Sunlight on the Oberg Mountain Trail"
A beautiful evening hike along one of the premier fall color trails on the north shore, Oberg Mountain in Lutsen. The colors haven't changed as much as I was expecting yet, but we should see a lot more of it popping up in the next week! 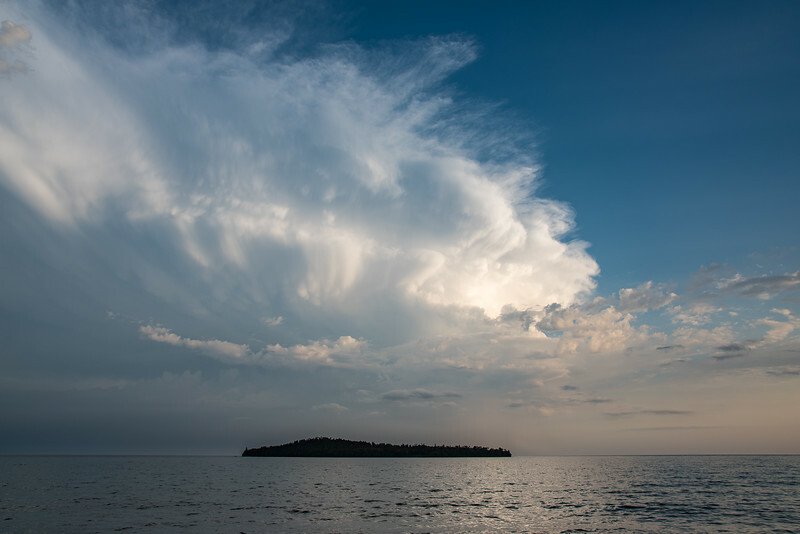 "September Storm over Grand Portage Bay"
Yesterday we had some incredible thunderstorms move through in the morning and again in the evening. The clouds were fascinating. I made this photo as I was driving home from work just after 5:00 PM. "Sunset Squalls and Fall Colors"
The sky sure was beautiful last night as the day drew to a close. I was going to go for a bike ride but after checking the forecast and the weather radar I saw more storms were on the way. 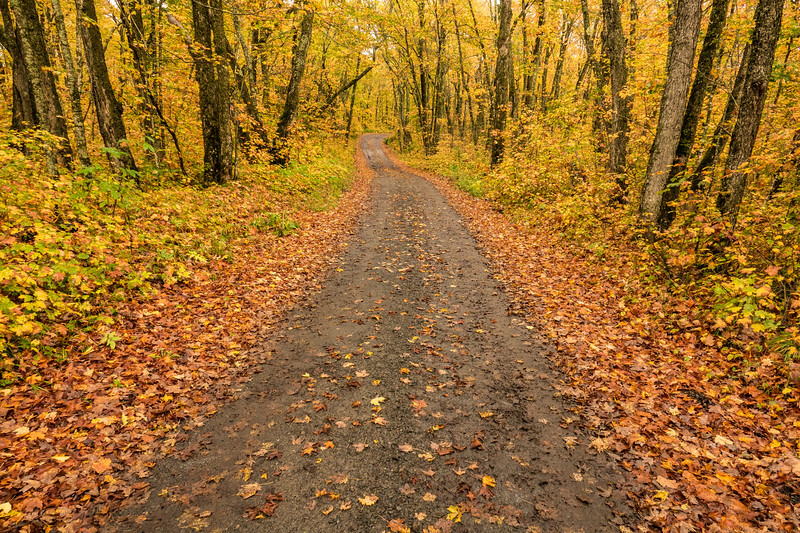 I decided instead to take a drive inland and check out the progression of the fall colors. The maples aren't at their peak yet but they are coming along nicely. 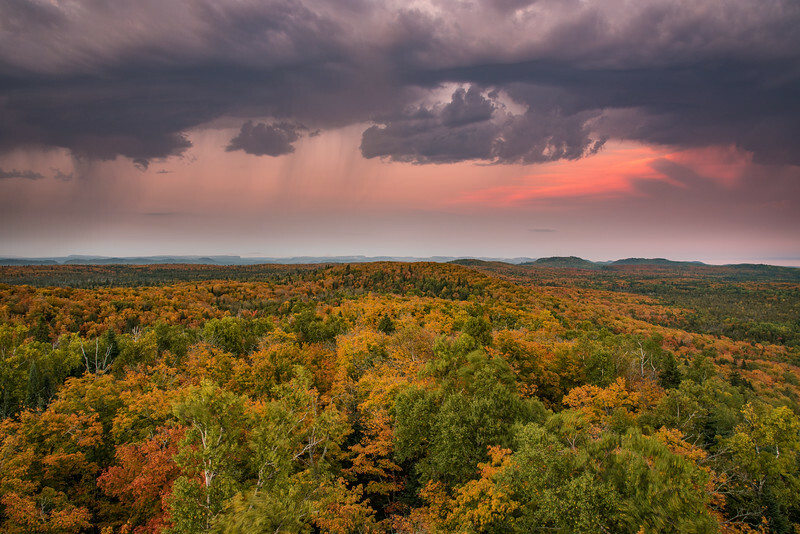 I went up to one of the local fire towers to get a view over the forest canopy. While I was on the tower I could hear thunder rumbling to the east and I could see rain falling from the clouds. It sure was beautiful! "Surf and Shadows, Point Reyes Coast"
Spectacular view of the coastline at Point Reyes National Seashore in California. It was super cool to see the shadows dancing across this landscape as we watched from high upon the nearby cliffs. 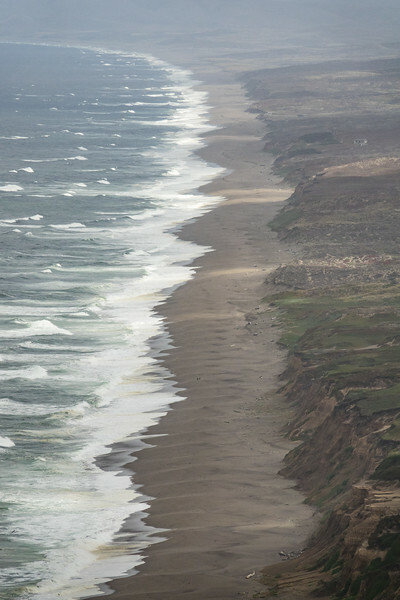 I loved this view of the coast at Point Reyes National Seashore in California. As were were hiking up on the nearby cliffs we could hear sea lions barking. At first we couldn't tell where they were, because they were so far away. 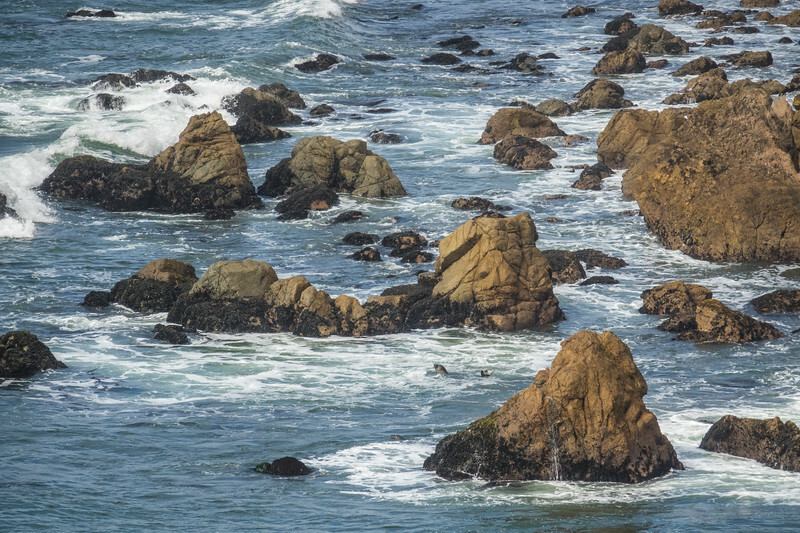 After careful examination of the rocks down below using my camera lens zoomed in at 600mm, I finally spotted a few sea lions playing in the surf. It looked like they were having fun, they were simply hanging out in the water and diving under the waves as they approached shore. 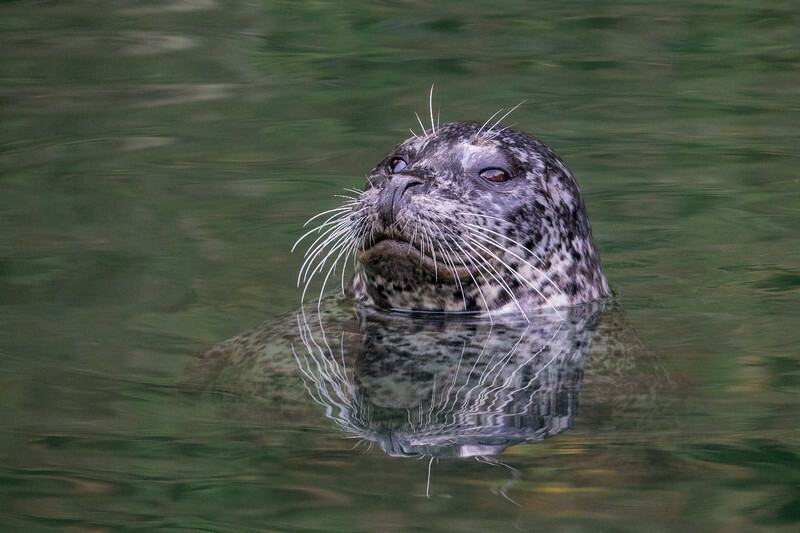 See if you can spot the sea lion in this picture! 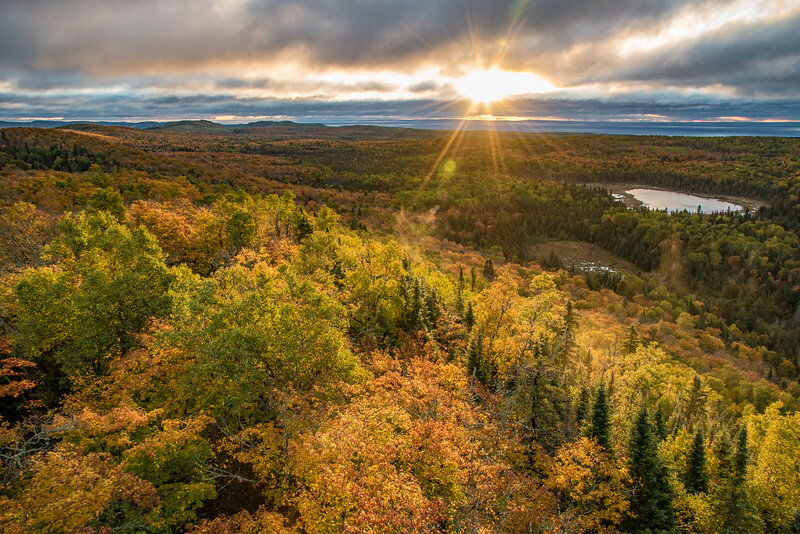 On a recent hike of the Oberg Mountain Trail in Lutsen, Minnesota I was surprised at how little fall color there was. 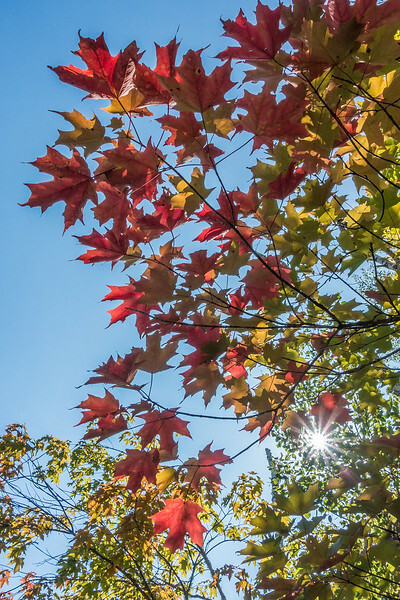 Usually by that time in September the maples are turning more than they were so far this year. Even so, it was a beautiful hike (indeed, it always is no matter what time of year). 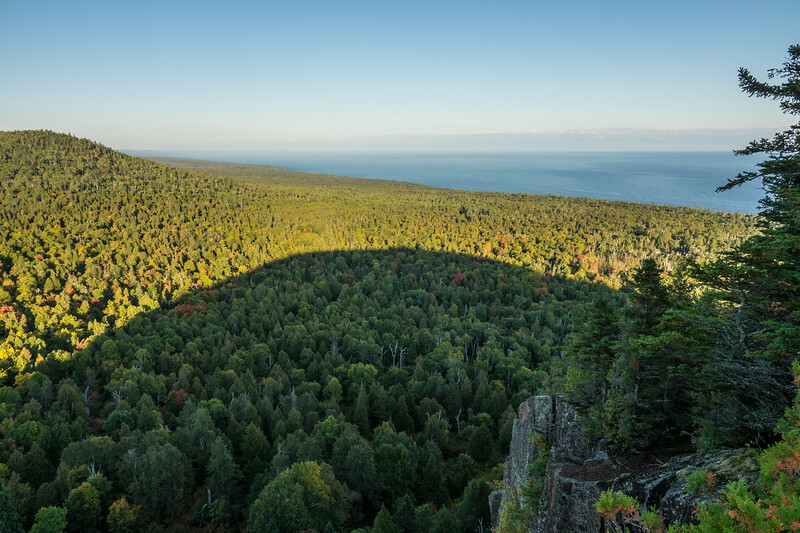 As I came to the overlook that looks to the east over Lake Superior I was taken by the prominence of the mountain's shadow. I had to make a photograph of it! "Fishing Boat off Point Reyes"
There are so many cool things to photograph along the California coast! 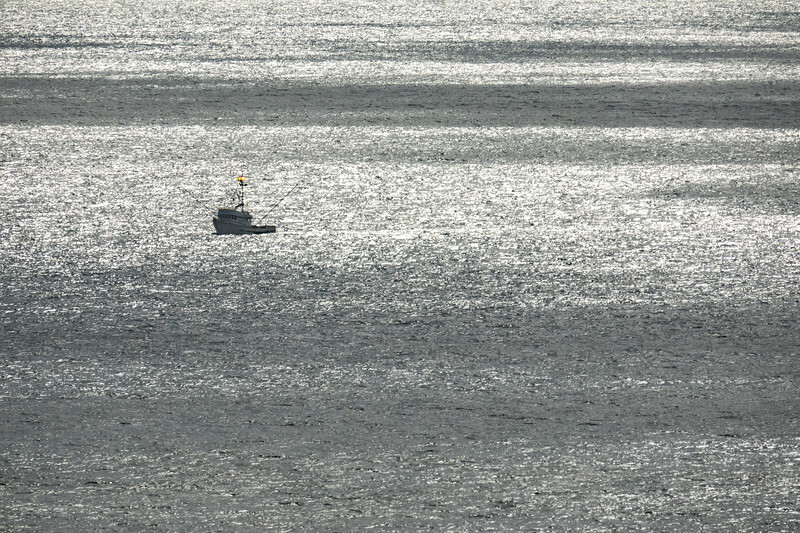 While hiking out to Point Reyes in Point Reyes National Seashore we saw this fishing boat quite a ways offshore. Using my 600mm zoom I was able to make an interesting photograph of the boat and the cloud shadows on the surface of the ocean. 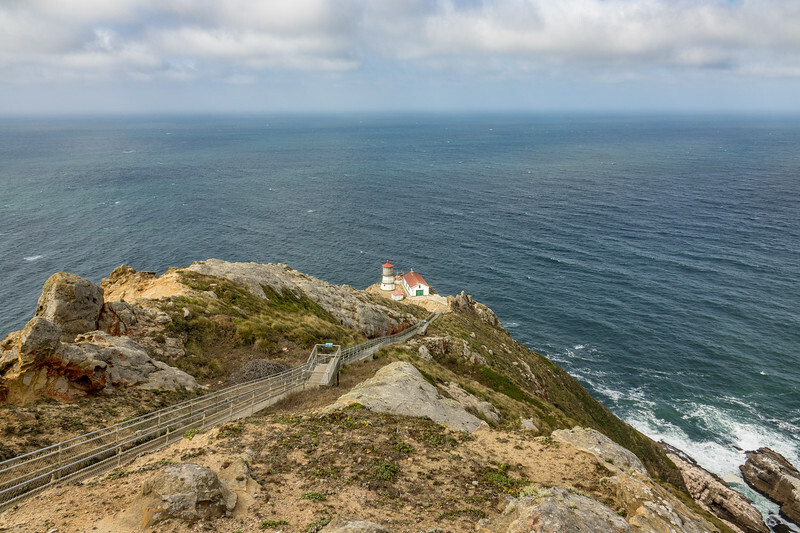 Point Reyes National Seashore has one of the most fascinating lighthouse locations I've seen. Unfortunately the lighthouse was closed the day we visited and we were unable to walk down the steps to see it up close. No matter, it still looked cool from way up on the hill! The lighthouse was first lit on December 1, 1870 and was automated in 1975. 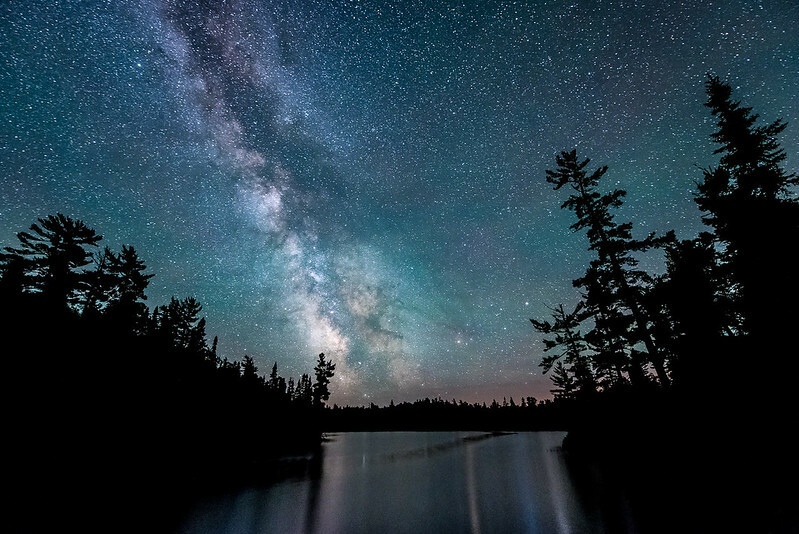 The location is frequently blanketed by week-long periods of fog and few years pass that do not see gales of 75 to 100 miles per hour strike the area. 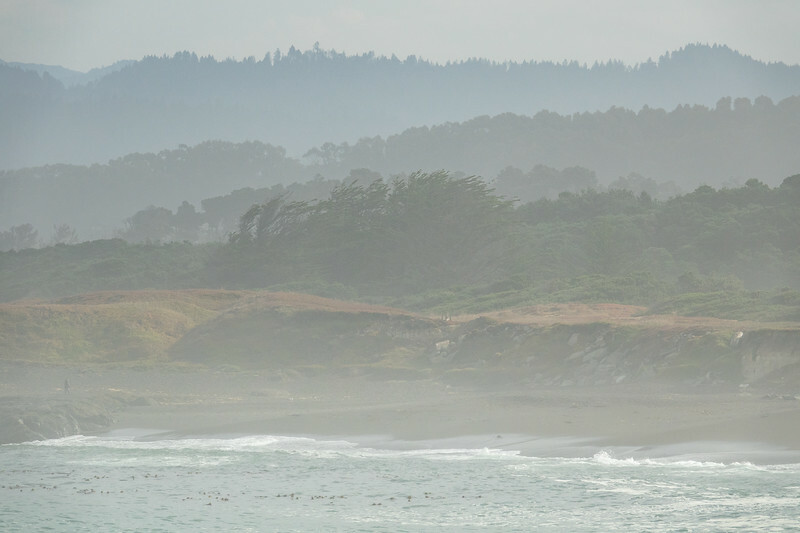 "Morning Fog on the California Coast"
A beautiful morning on the coastline of MacKerricher State Park in Fort Bragg, California. The coast was foggy but just half a mile inland the sun was shining. By early afternoon the fog had completely dissipated and the sun was shining brightly on the beaches. 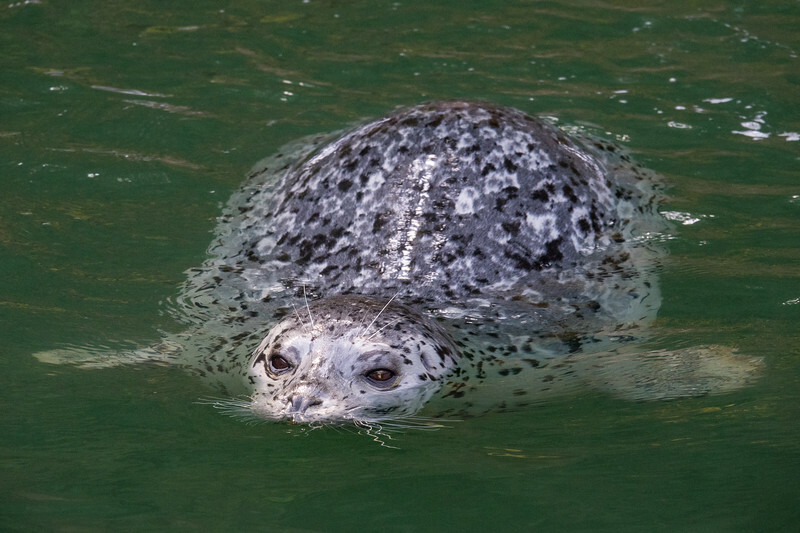 When we returned from a day of fishing on the Pacific Ocean we had a great time watching a few friendly harbor seals hanging around near the docks in Noyo Harbor. Seeing these guys was one of the highlights of the trip to California! 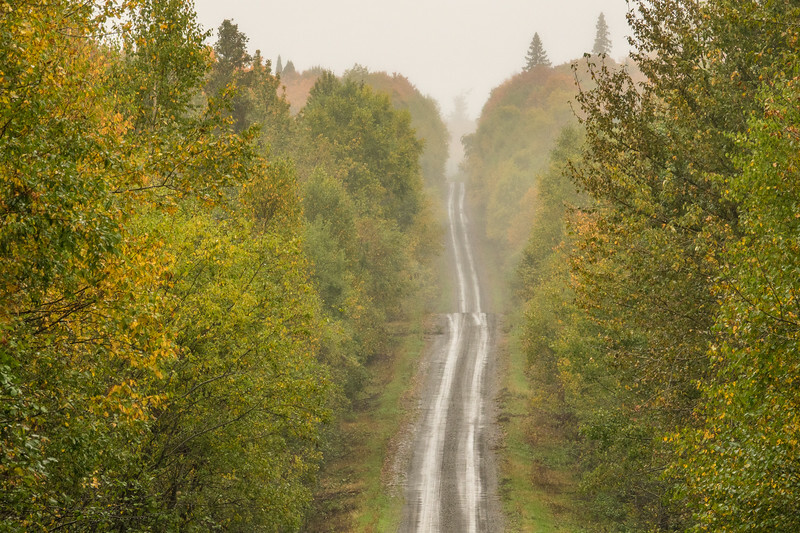 "Jackson Lake Road on a Rainy Day"
Yesterday was a very wet day. According to my rain gauge we received a full inch of rain throughout the day. This is on top of what has already been a wet week. I figured it was a good day to go for a drive in the woods. Along the way I captured a couple of interesting "road view" photographs. 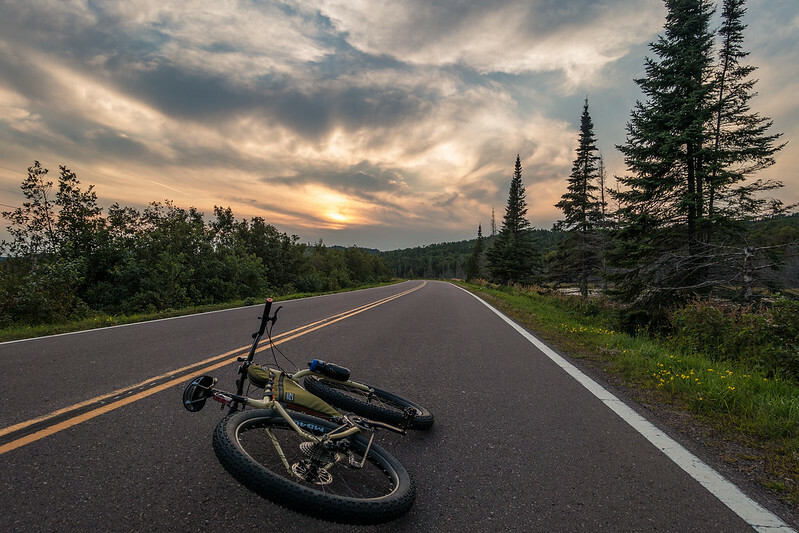 The first photo is Jackson Lake Road in Grand Portage State Forest and the second photo is Rengo Road on the Grand Portage Reservation. Two of my favorite biking roads although I was glad to not be biking them yesterday as the rain made them pretty muddy! As I mentioned in my post from this morning, yesterday was a very rainy day. 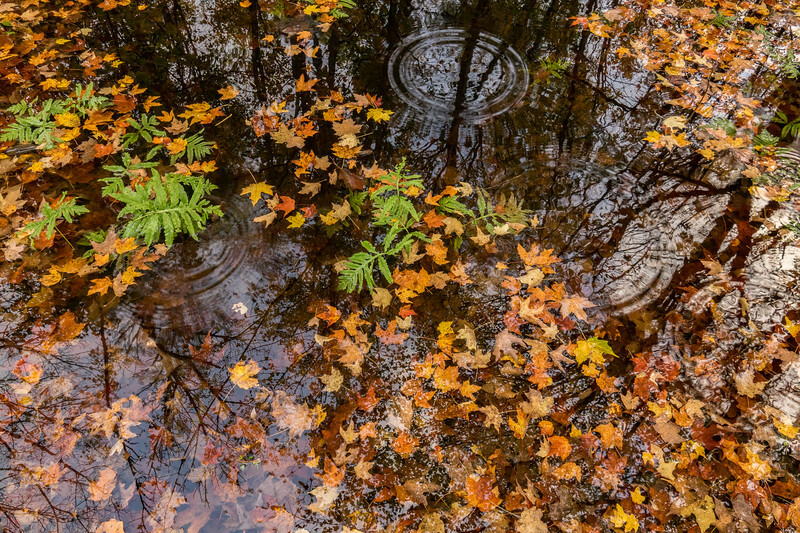 Those days make for fun photography underneath the forest canopy. The lack of any direct sunlight makes for nice soft light along the forest floor. 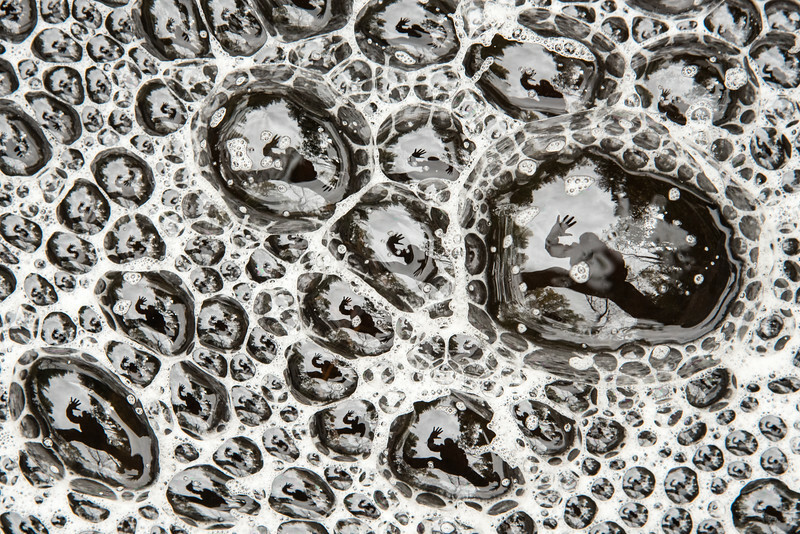 So, I spent part of the day looking down for things to photograph. Here are a few of my finds. 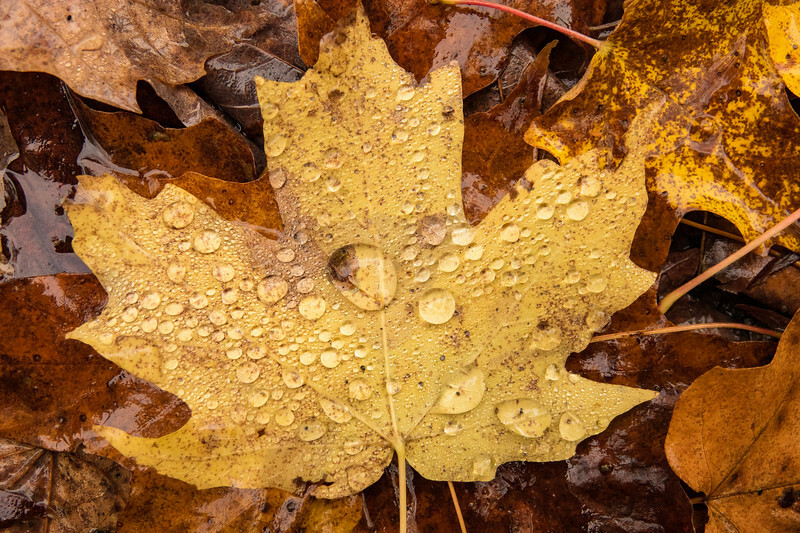 "Rain Drops and Maple Leaves"
"How many of me can you see?" 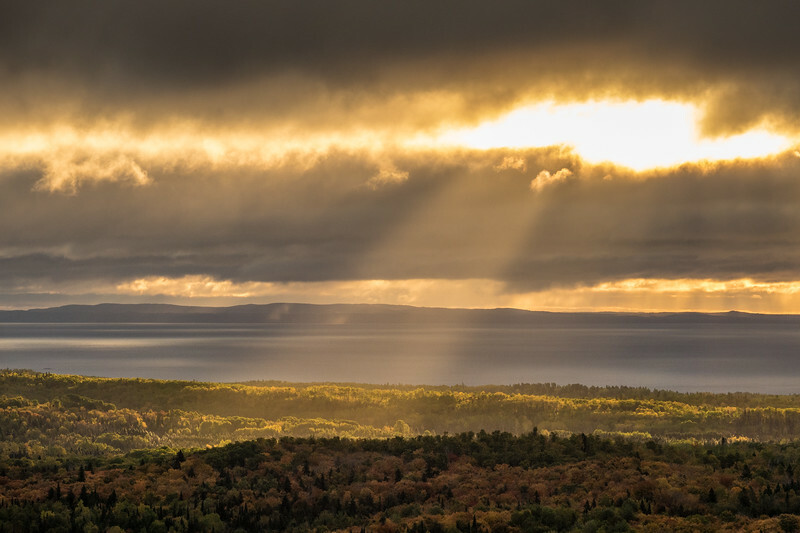 "Dawn of a New Day"
September sunrise over Lake Superior and Isle Royale National Park as seen from Grand Portage, MN.